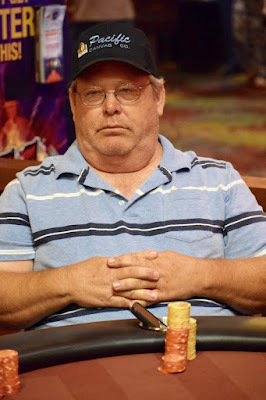 Rick Peterson leads out on the 4-x-Q, two diamond flop and Ian Kalman raises to put Peterson all in. Peterson hesitates, and calls off his stack. Kalman has Q-J for top pair, while Peterson has for bottom pair and a flush draw.